The focus at SLD Laser is on the use of lasers for illumination applications, which include the illumination of displays, especially projectors. 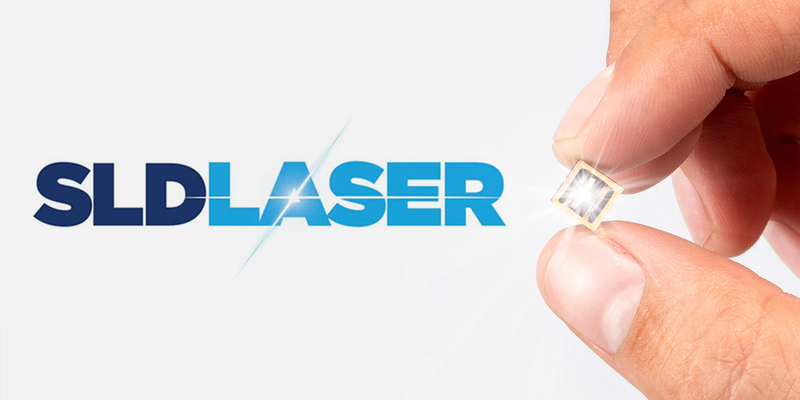 The SLD Laser system involves using high-powered blue laser diodes to illuminate a phosphor to generate white light. All the examples Dr. Rudy discussed with me used yellow phosphors, similar to the ones used to generate white light from LEDs. All the systems SLD Lasers is currently focusing on use static phosphors, not phosphors on rotating wheels as are used in laser-phosphor projectors.